“Khamma Gani” – we were greeted with these 2 words as we entered the premises. 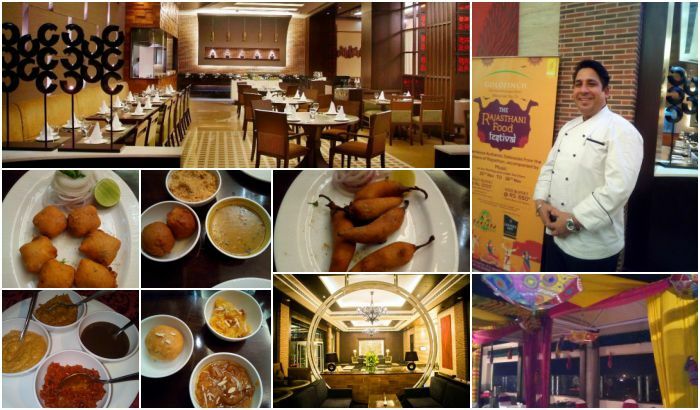 We were at Goldfinch Hotel, Surajkund Faridabad to attend the 10 day Rajasthani food festival. 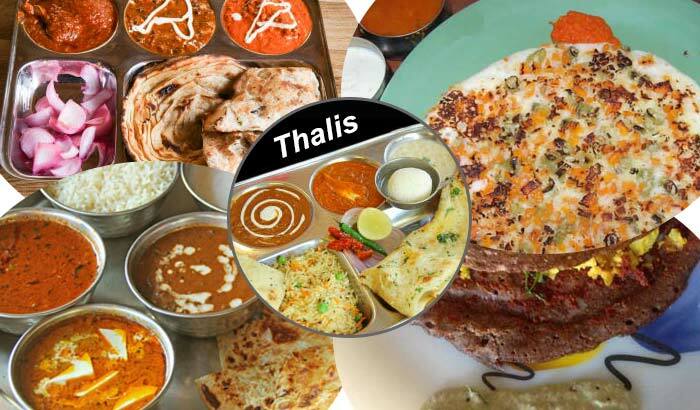 Rarely have I come across any food festivals in Faridabad, especially Rajasthani and when I finally got one, I was very excited to attend it and experience authentic Rajasthan cuisine. Goldfinch Hotel celebrated The Great Rajasthani Food Festival at its Surajkund based Goldfinch property from 10th – 19th November, 2017. When I reached the venue, the F&B Manager Jyoti and the Executive Chef Karam Chand Dogra were there to make us feel comfortable and explain to us the essence of celebrating such festival. The feel of Rajasthan was everywhere, especially in the decor and the ambience created for celebrating the event. 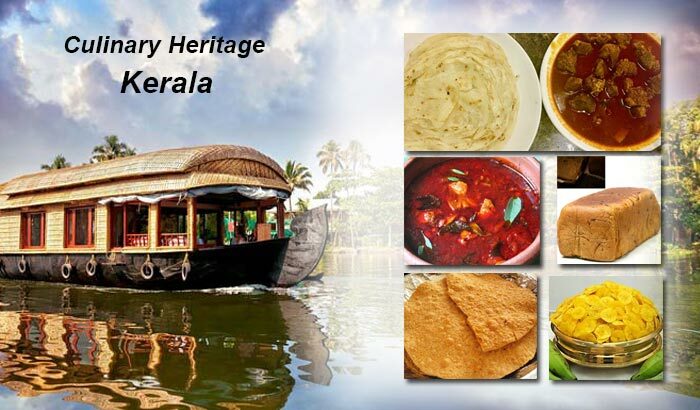 If you had a chance to be there, you would have been easily taken to the ‘Land of Forts & Palaces’. The cold wind blowing outside made me freeze and it could have been possible that it added to my hunger pangs. The Chef told us that on the basis of the feedback received from customers, the hotel came up with the idea of Rajasthani food festival and put in their best endeavour to bring the authentic taste of Rajasthani food to its guests. The food saga thus begun! 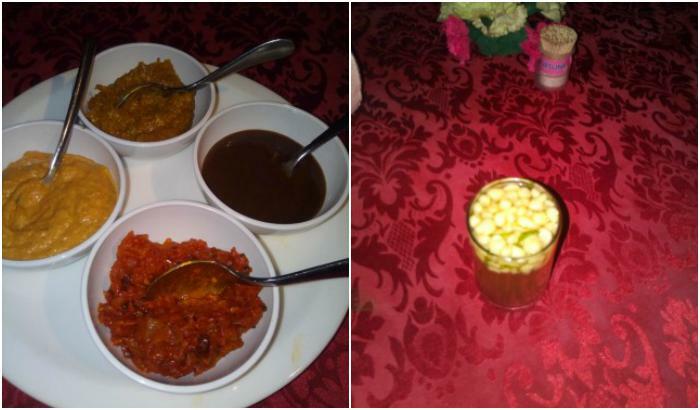 A tray of chutneys first came to us that had variety of chutnies like Imli, Lehsan (garlic), tamatar and so on. Kachari chutney was loved by everybody in this festival. They had In the Welcome drink, we were served jal jeera that were accompanied by snacks like Mirchi Vada, Paneer Pakoda and for Non vegetarians Rajasthani Murgh Tikka. 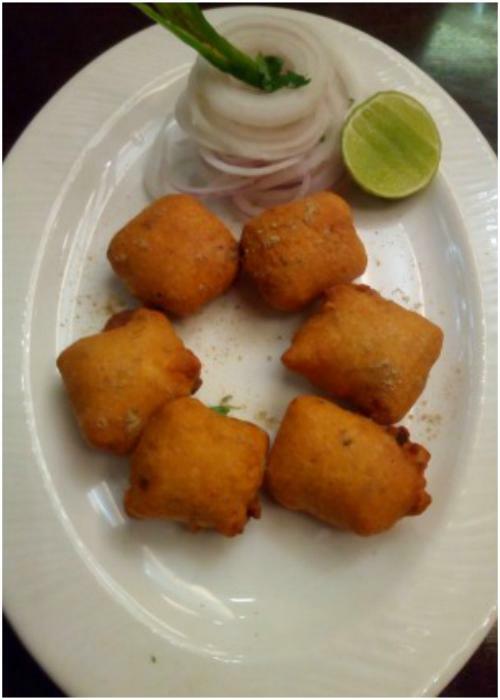 Paneer Pakoda tasted really good and its delicious flavor came out from the right mixture of gram flour and paneer used. Mirchi Vadas were good but it did not taste like the ones from Rajasthan. 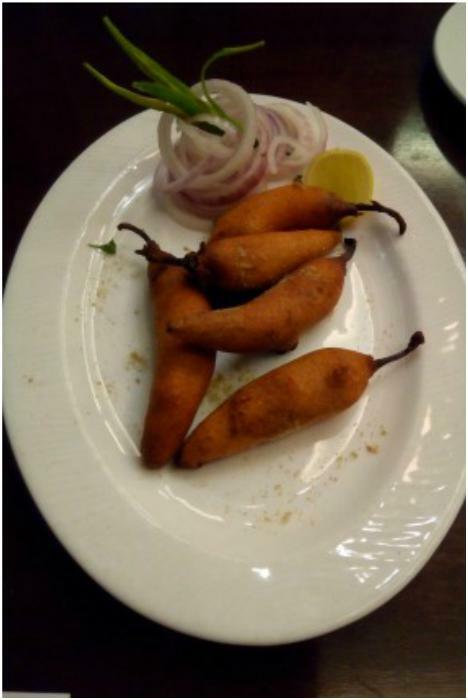 On this the chef told us that Mirchi’s’ of Rajasthan are different and Faridabad customers have a preference for a bit teekha (Tangy) taste so that was why there was a difference in taste. 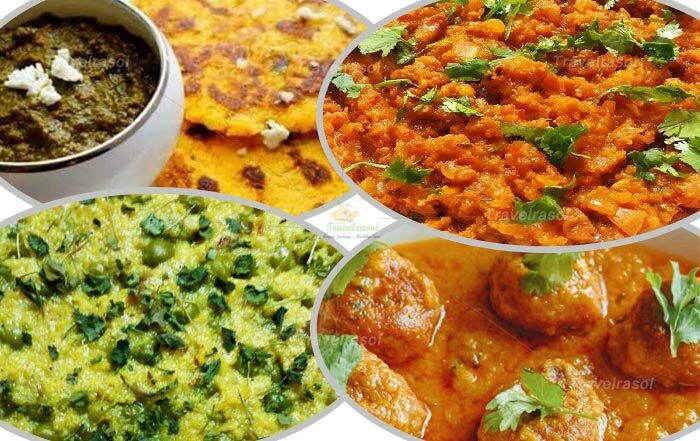 As I am a vegetarian, I preferred Veg Rajasthani Main course and so had Dal baati churma. I enjoyed savoring the meal. The menu also had Gatte ki sabzi, kadi, Matar ki sabzi, Mix veg khichdi and Soya Pulao. The taste I would not say was authentic as it had more of a Northern India flavor but I still appreciated their efforts, of having organized a Rajasthani food festival in Faridabad that many would love to attend. The non-veg menu had Laal Maas and Murgh Banjara. 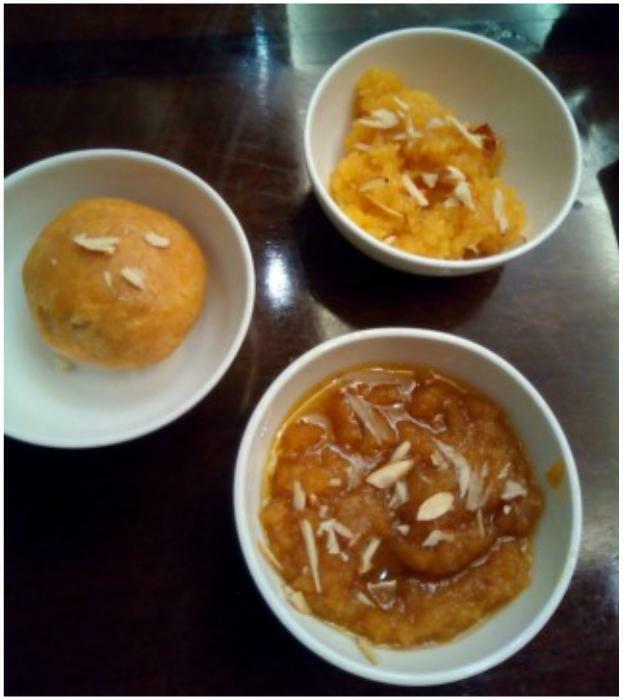 In the desserts we had Moong Dal halwa, Mawa kachori and chasni ka chawal that had an appetizing taste. What was missing of course was the Dance of Rajasthan and the staff wearing the traditional attire of Rajasthan would have definitely added more appeal to the festival! Nevertheless, Chef Karam and Jyoti were both wonderful hosts for the evening and it was really a great attempt from Goldfinch Faridabad to have set up such a festival. 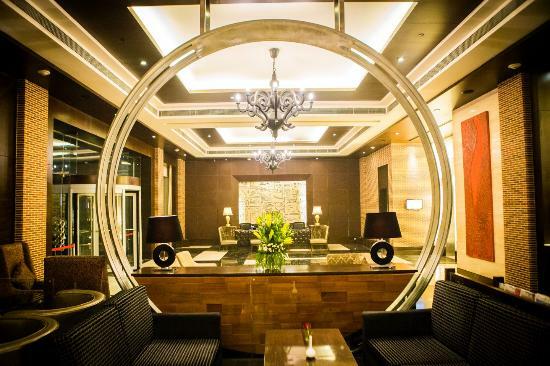 Share the post "Rajasthani culture comes alive at Goldfinch Hotel, Faridabad"
Greetings from Goldfinch Hotel, Faridabad !! 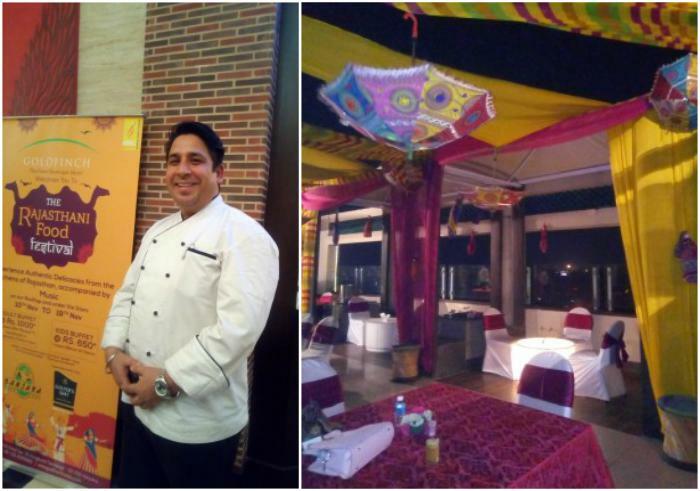 Thanks alot for your wonderful feedback on Rajasthani Food Festival celebrated in GOLDFINCH HOTEL, Fadidabad, Haryana. start dated from 10th Nov 2017 till 19th Nov 2017. Thanks for giving us time to participate and enjoy our Rajasthani food Festival and give us a genuine feedback based on Rajasthani theme. We will be pleasure to serve you in our non stop upcoming Food Festivals hosted by GOLDFINCH HOTEL, Faridabad, Haryana.